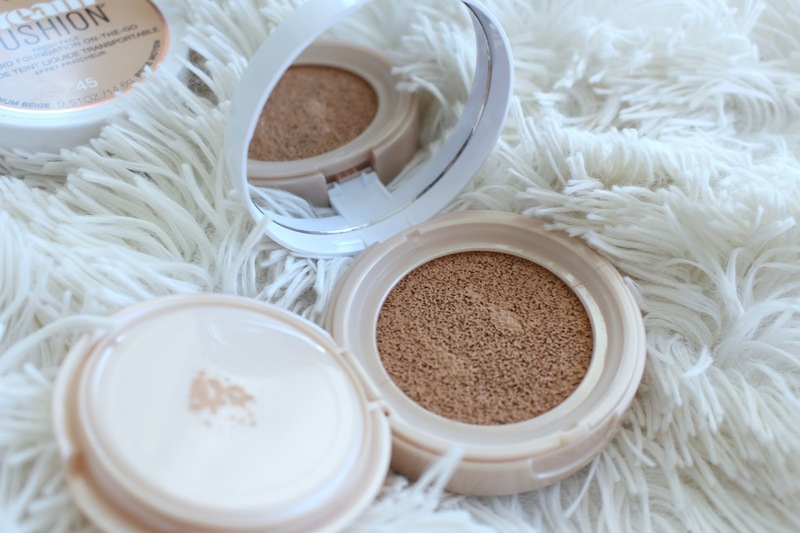 You should be able to find the Maybelline Cushion Foundation at your local drugstore, Walmart, Target etc. I've seen it on it's own display because it is so new you probably won't be able to track it down where the rest of the Maybelline line lives. It retails for around $15.99 to $18.99 in Canada for .51 oz of product. 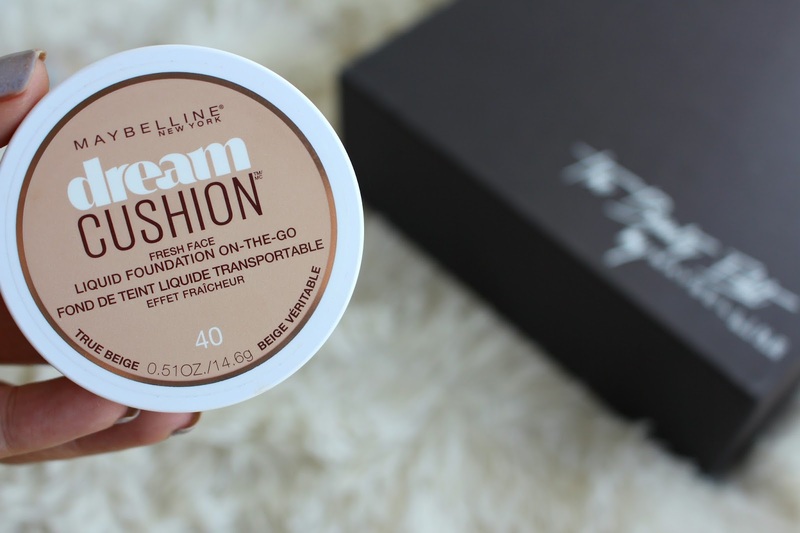 The average liquid foundation has a full fluid ounce, but cushions generally come in around .50 oz. As for the packaging it is pretty typical of a cushion foundation, you have your sponge applicator, that lives on the plastic cover that protects the actual cushion and sponge from drying out. The outside of the packaging has an indication of what shade it is, but it isn't 100% accurate. There are 8 shades in the range, which is quite limited. 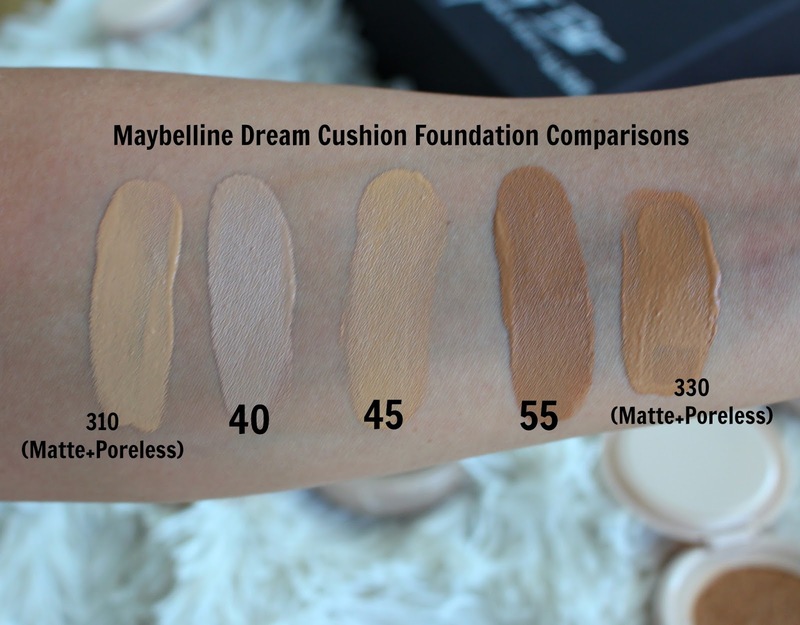 That being said Maybelline does a great job extended shade ranges once a foundation has done well, or at least that is what I'm assuming. They extended the range on both the Maybelline Fit Me and SuperStay Better Skin foundations. I have incredibly oily skin, therefor I have stayed away from cushion foundations up until now. They generally have claims of luminosity and hydration which isn't enticing to me. 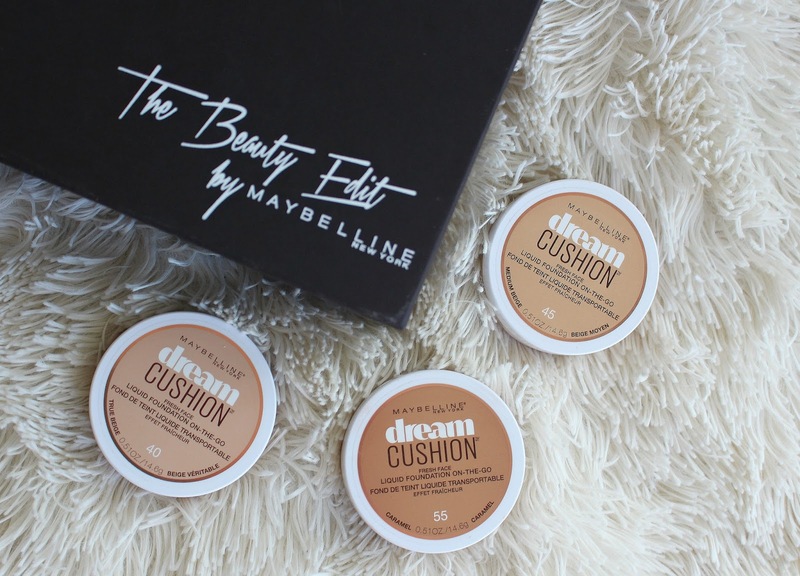 The Maybelline Dream Cushion Foundation claims to have "increased colour pigments to deliver complete luminous coverage for fresh faced perfection". Not exactly sure what "luminous coverage means, generally I would think in terms of light, medium or full coverage. I've got to say I am incredibly impressed with this foundation! I wore the Maybelline Dream Cushion Foundation 45 Medium Beige, I wear around a 310 or 315 in the Fit Me Foundation and NC42 at MAC. It was a pretty good colour match, could have been a little warmer. It can give anywhere from light coverage to a high medium if you build it up. It doesn't look cakey with multiple light layers. As for application the sponge applicator that was included actually worked really well, normally I hate that kinda thing. I also test out a beauty blender and more dense brush, they both worked great. The brush gave the highest amount of coverage. The finish dried down to about a demi-matte, so I think if you were going into this with dry skin and hoping for luminosity you may be disappointed. For me however, I was delighted! If you have normal, or even combo skin you may not need to set it with a powder. I wore this foundation for about 9 hours, no blotting and it did a great job holding up on my skin. I set with a mattifying powder but even still, I was still so happy with how it held up at the end of the day. It was not patchy, did not feel greasy and still looked quite fresh on my skin. Overall, I think this foundation is fabulous! I'd like to see the shade range doubled but otherwise I am totally impressed. *This product was sent for my review. 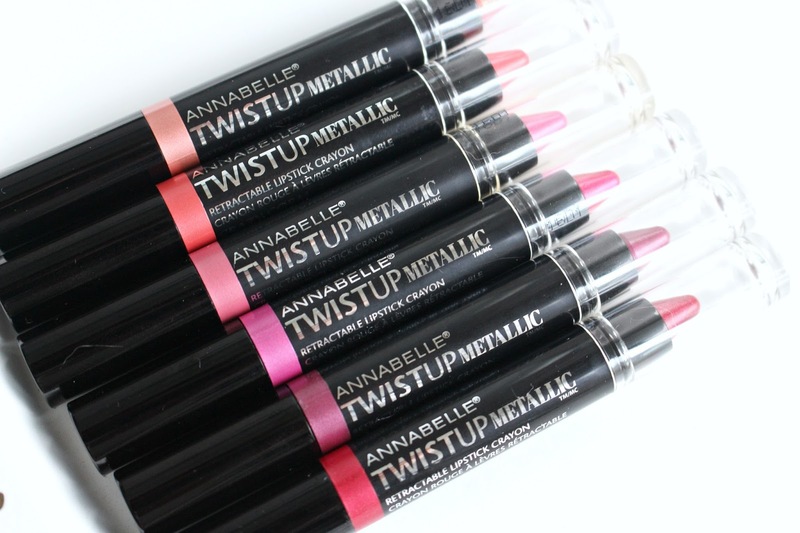 In Fall 2016, Annabelle added 6 new metallic shades to their TwistUp pencil line. 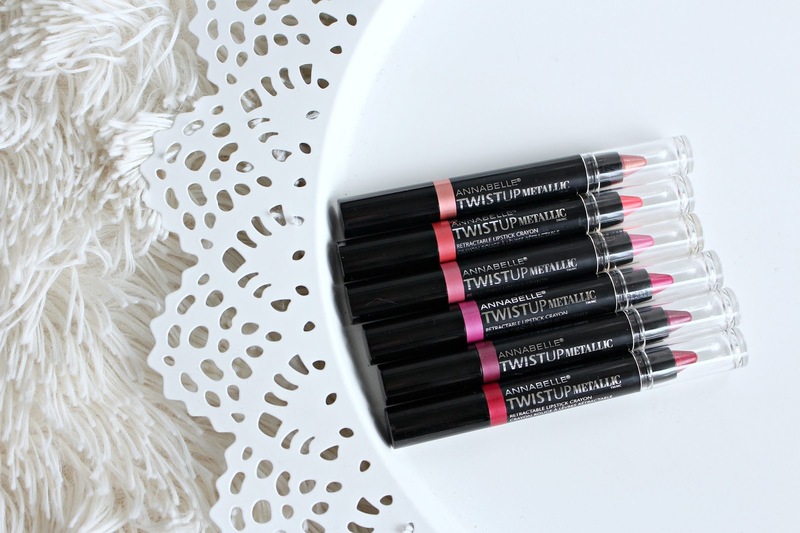 This is totally on trend with all of the metallic, frosty things happening in the lip world. 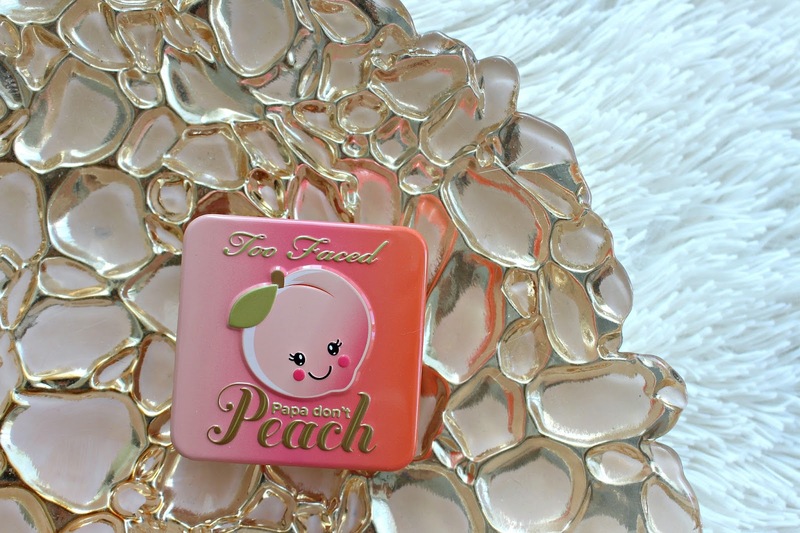 Initially I was not on board - it gave me horrible flashbacks to the days of silver Lip Smackers in Junior High. 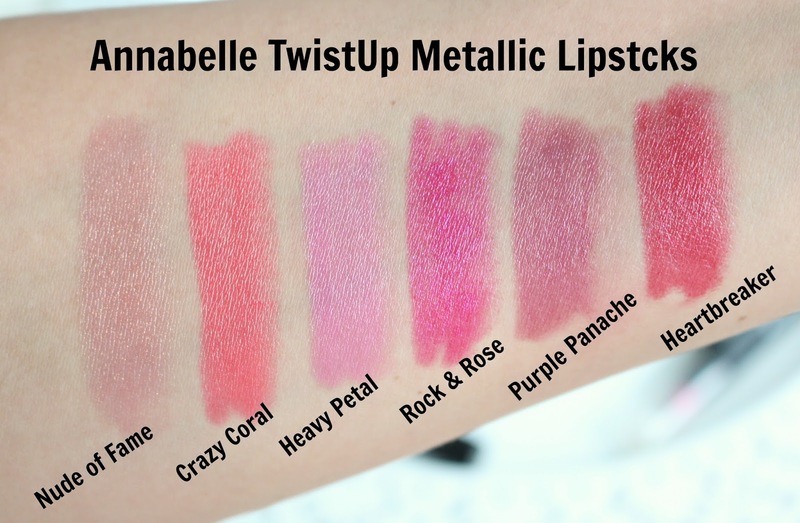 However, I'm totally on board now, and Annabelle's TwistUp Metallic Lipsticks helped get me there. 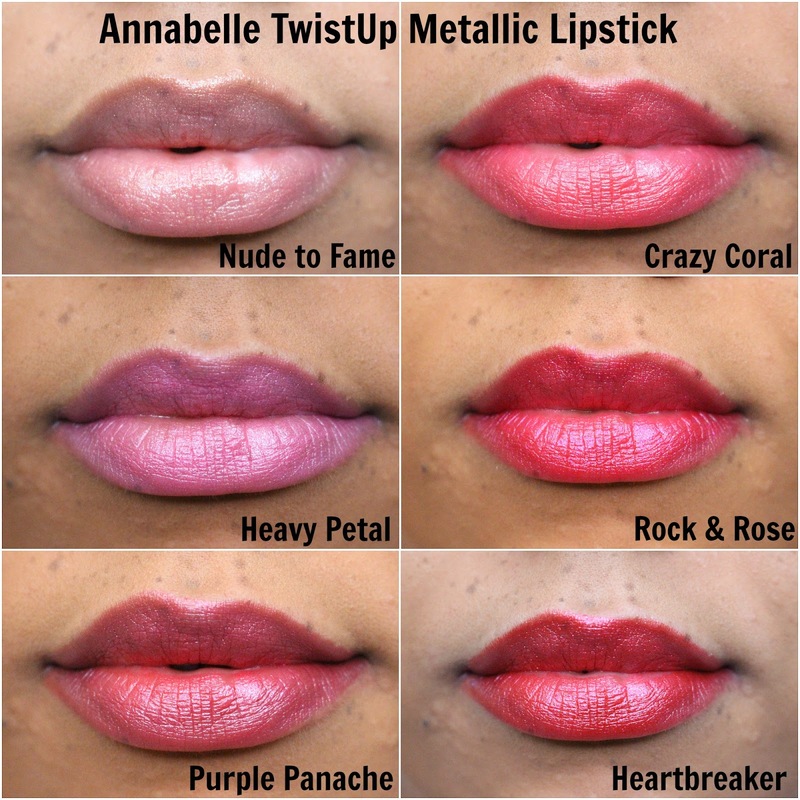 The Annabelle TwistUp Metallic lipsticks contain nurishing ingredients like Omega 3 + 6 and shea butter. 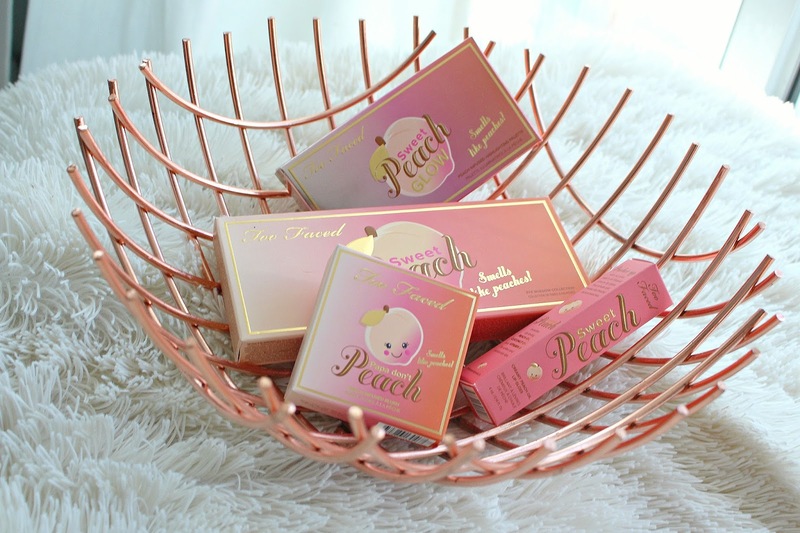 They are formulated without parabens and perfumes. 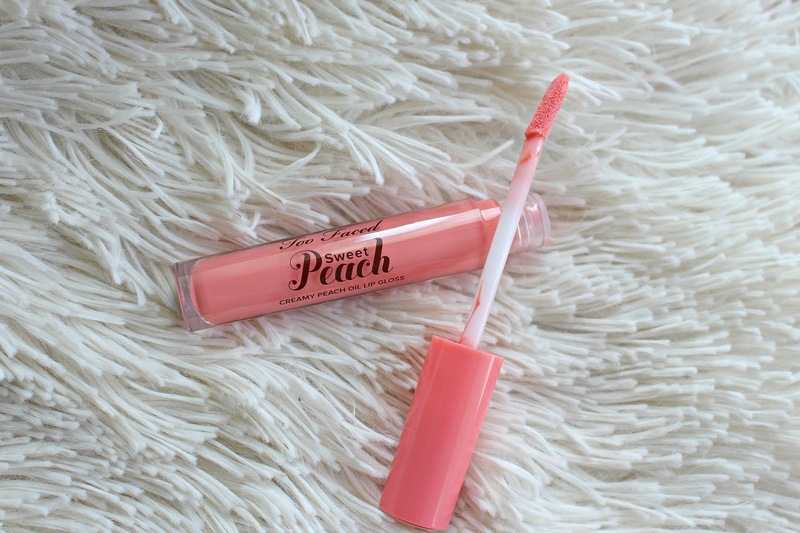 They retail for around $9.95 and can be found at Shoppers Drug Mart, Walmart and on the Annabelle website. I really like the formula of these, they aren't super gritty as I was expecting. You can feel a slight bit of texture but nothing that's bothersome. The metallic sheen is just enough to add some interest without being too "out there". The shift of shimmer is very slight but still gorgeous! I like that they come to a pointed tip, that won't last forever but I think you will still be able to get a nice application once it has worn down. They layer well over lipsticks too. If you're looking to dip your toes in the world of metallic lips I think these are a great option! 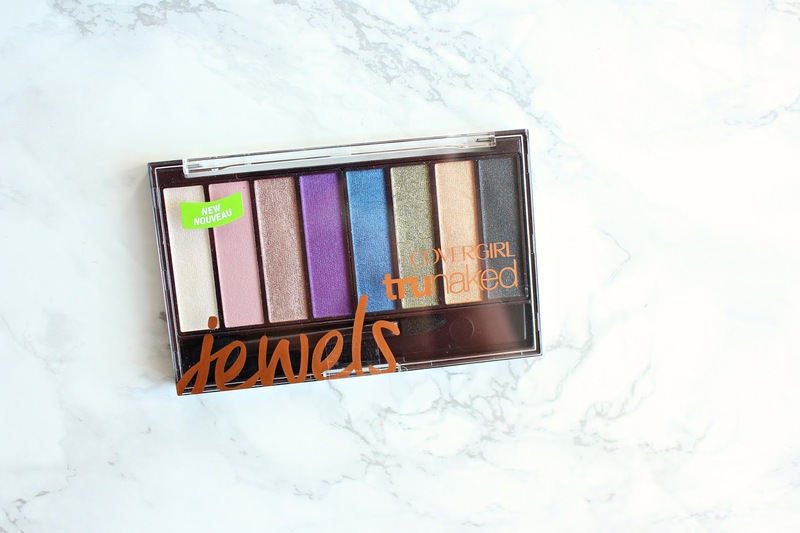 The fourth and latest addition to the Covergirl truNAKED eyeshadow palette line is the Covergirl truNAKED Jewels Palette. 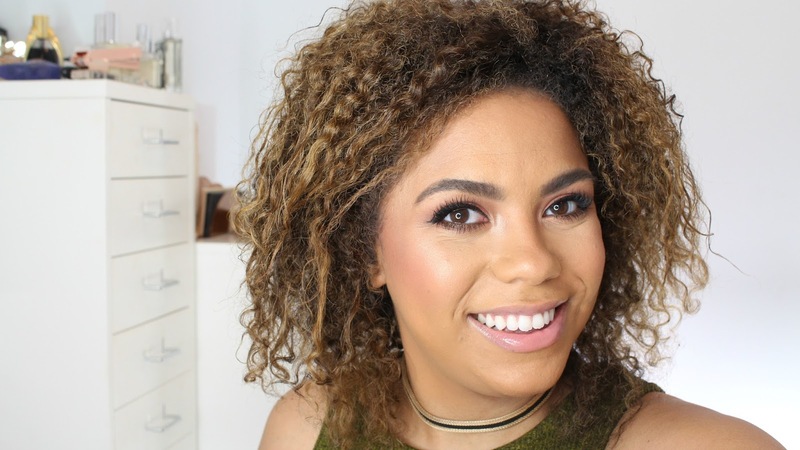 Covergirl has launched a ton of new products for Spring 2017. I feature them in a recent What's New at the Drugstore 2017 video on my YouTube Channel. 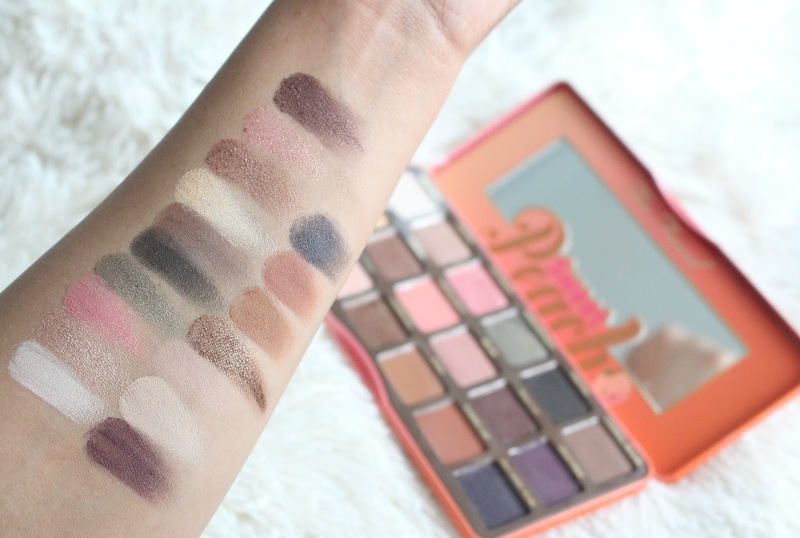 This palette should be showing up in drugstores this month, be sure to keep an eye out on the end aisles, or a separate display - new items often don't have a home in the permanent display yet! 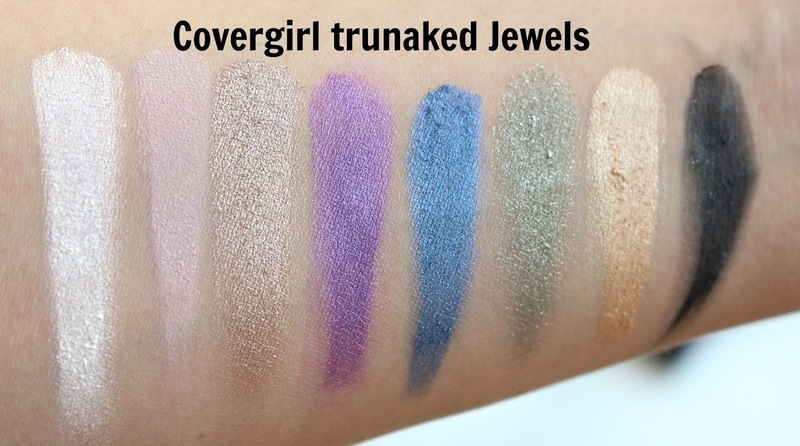 The Covergirl truNaked Jewels Palette features 8 shades and lists having matte, shimmer and sparkle formulas that can be used wet or dry. It retails for anywhere in-between $12.99 and $14.99 CAD depending on where you track it down, be sure to always look out for a sale. Also surprising to see, world famous makeup artist Pat McGrath designed looks for this palette! I don't think she would put her name on just anything so that is a huge stamp of approval and speaks to the quality. 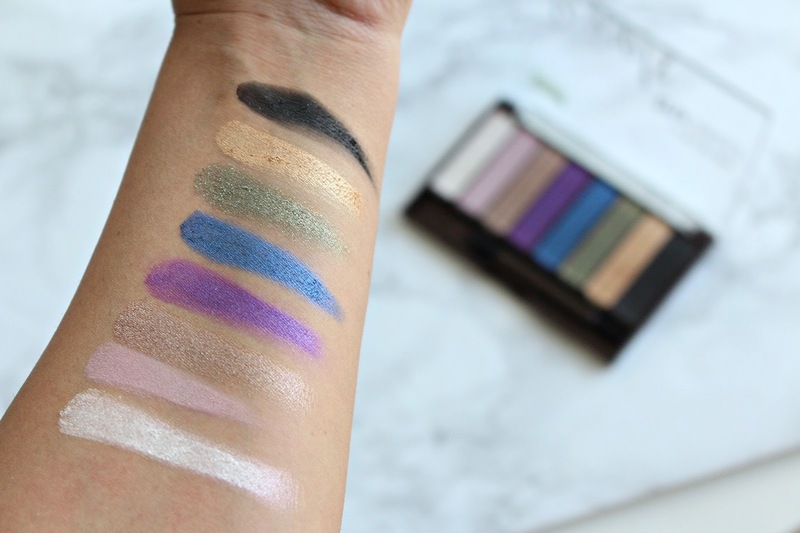 I think that all the shades in this line are super creamy and smooth, there is a good bit of powder kick up, which I don't mind if the shadow performs. 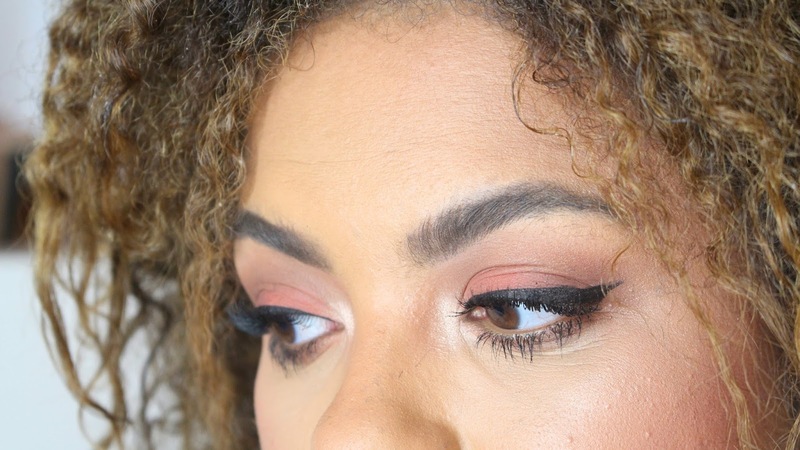 You may just want to do your eye makeup first if you plan on wearing the deeper shades. 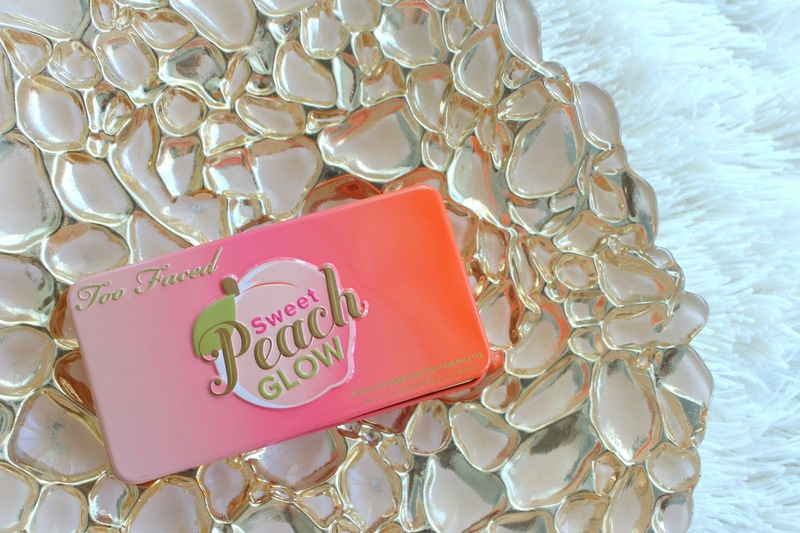 I don't think that there are any duds in this palette, every shade is gorgeous. 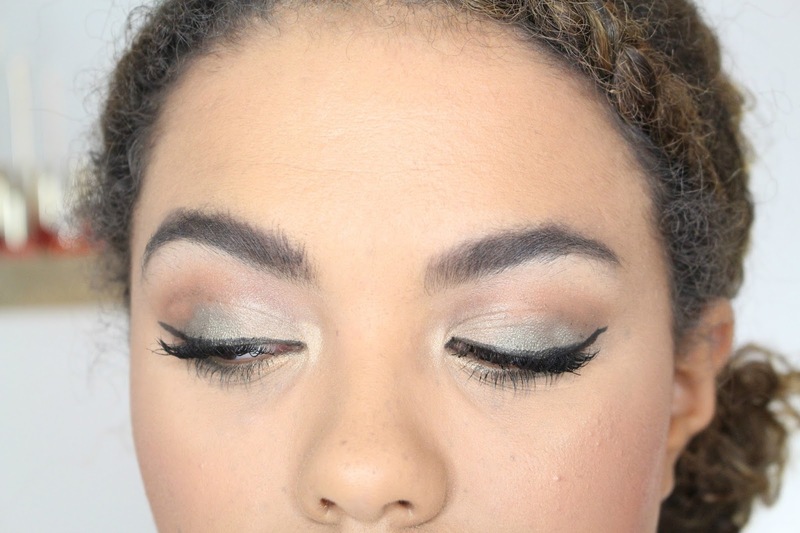 It is also quiet versatile, you can go natural, smokey and use the colour for an interesting pop on the lower lash line. 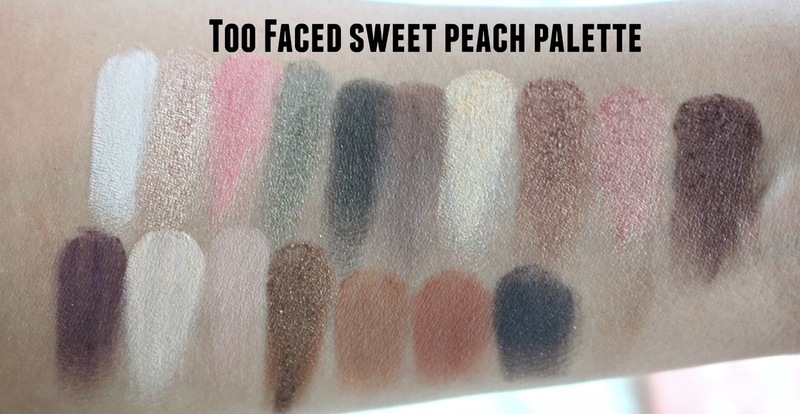 I do however think the palette lacks a mid-tone brown for a transition/crease shade. 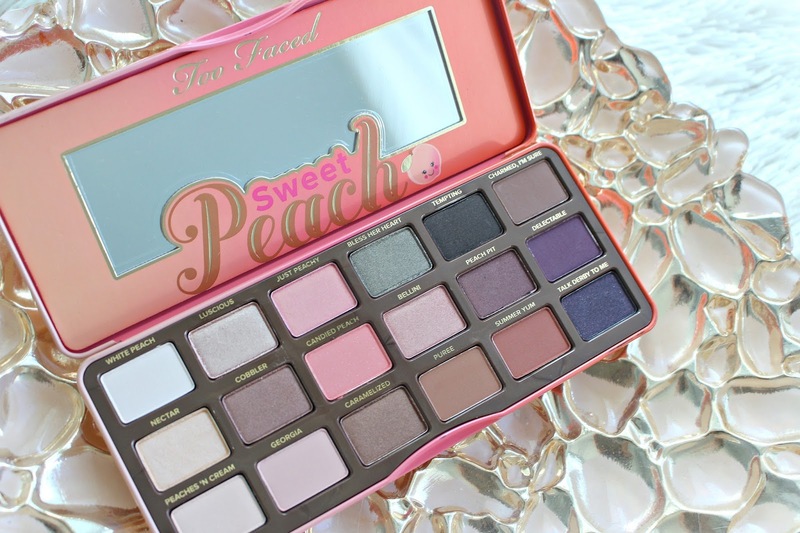 Personally this is not a palette I can use solely on it's own but I don't mind! 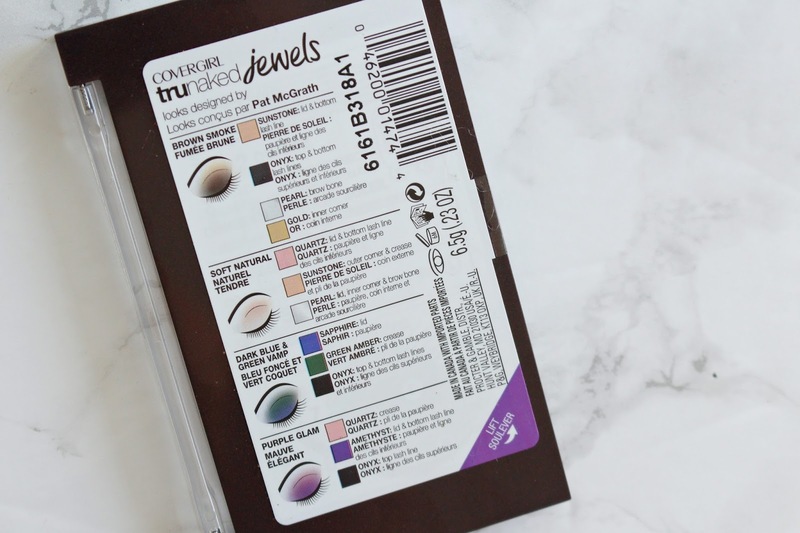 I think if you are looking to try out these shades but don't want to spend the big bucks or skip quality, it's amazing. An amazing bonus in the palette is the gold shade, it doubles as a stunning highlight. There is no glitter, just an intense shimmer and reflect that looks amazing on the top of the cheekbones. Only issue is that it is wedged between the green and black, so be careful when picking up the colour on your brush. Overall, I think this palette is a huge win. 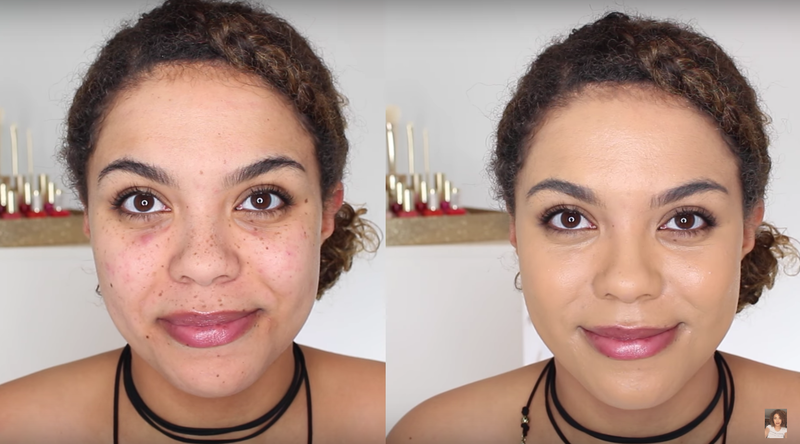 It is so great to finally see the drugstore coming out with quality shadows. 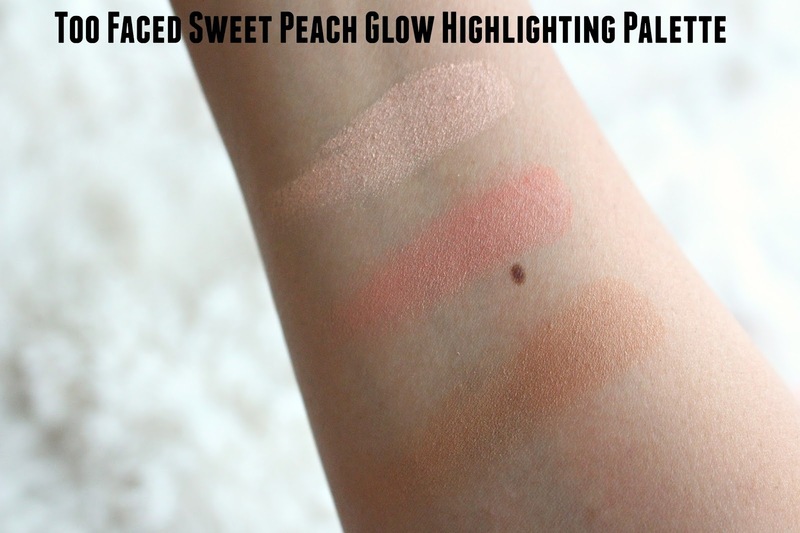 They still need to have that lightbulb moment about transition/crease shades but we are getting there! If you were debating this palette, shades or formula I'm incredibly impressed and highly recommend. 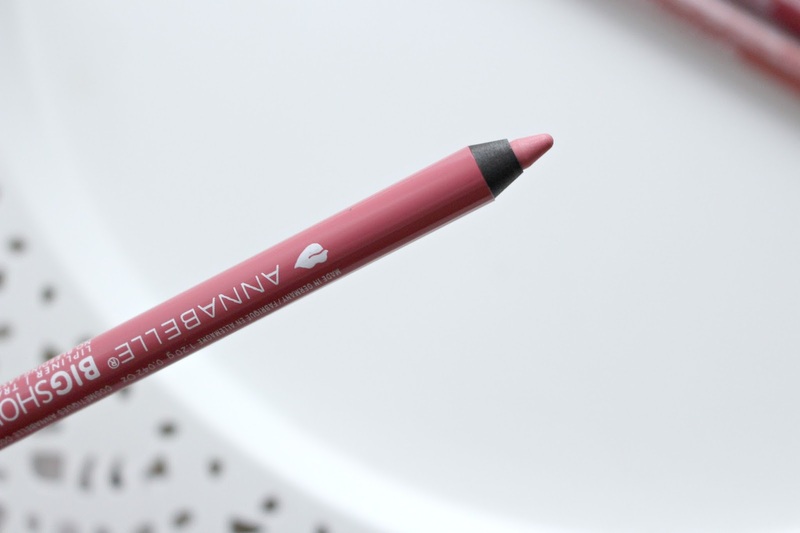 Good lip liners can be hard to find, especially at the drugstore. 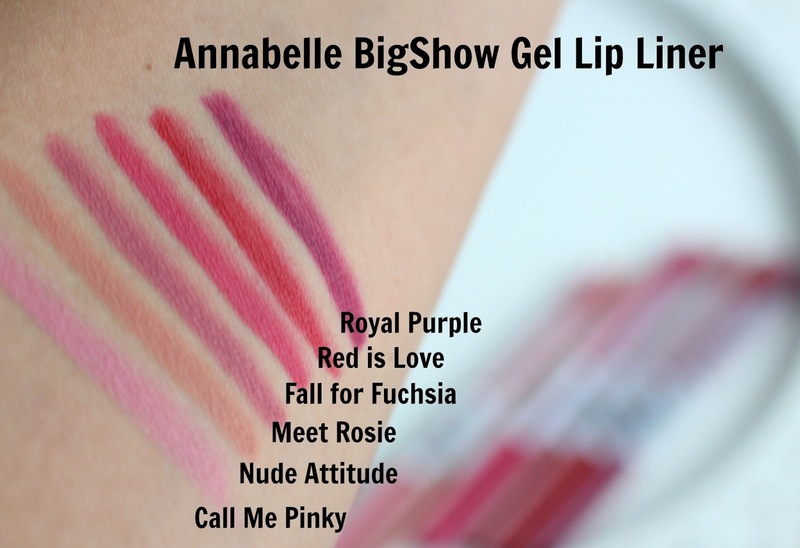 However, the Annabelle BigShow Gel Liners are delightfully well done. These can be found at Shoppers Drug Mart, Walmart and the Annabelle site. They retail for around $6.95 to $8.95 and come in 6 shades. 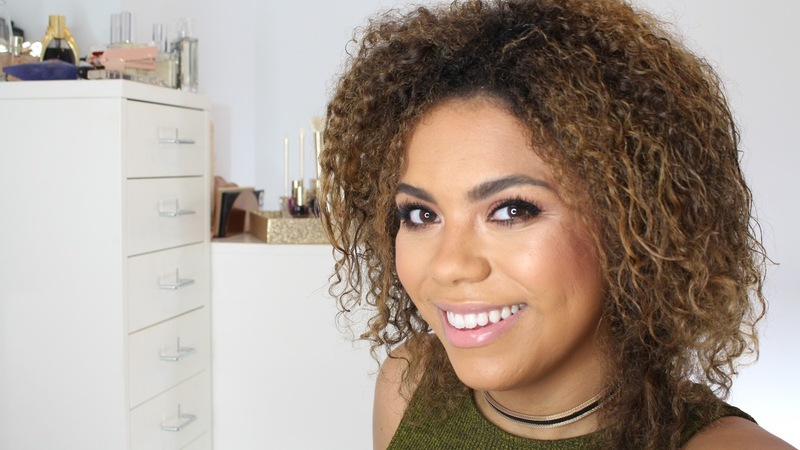 I'm wearing the shade "Meet Rosie" in a recent Canadian Beauty Brands video on my YouTube channel. 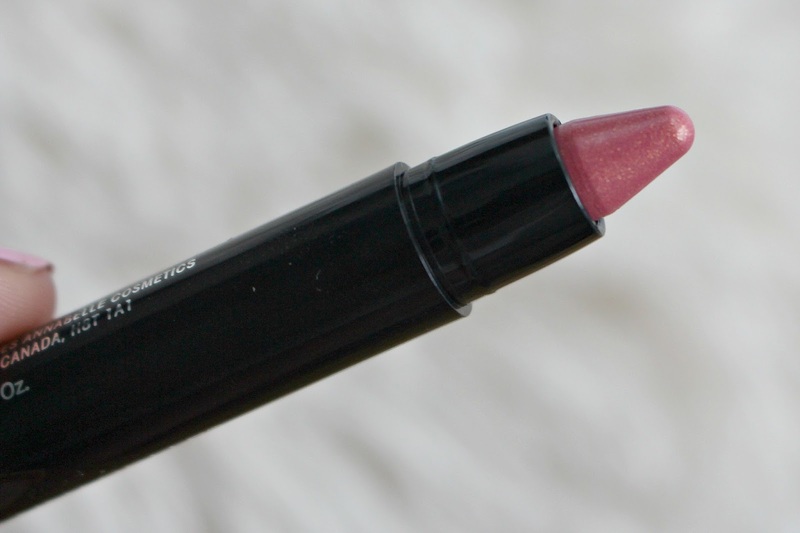 Unlike many drugstore liners, these have a soft texture that is more like a lipstick then a pencil without being too creamy. These need to be sharpened, which I prefer, I find that retractable liners tend to dry out on me. I like that the packaging corresponds with the shade of the liner, makes it easy to reach for. 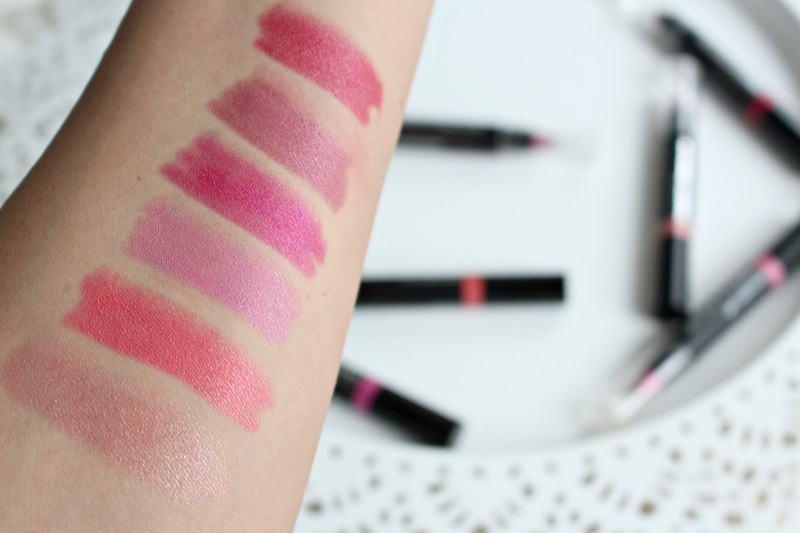 These remind me of the Make Up For Ever Aqua Lip Liners, which are some of my absolute favourites. 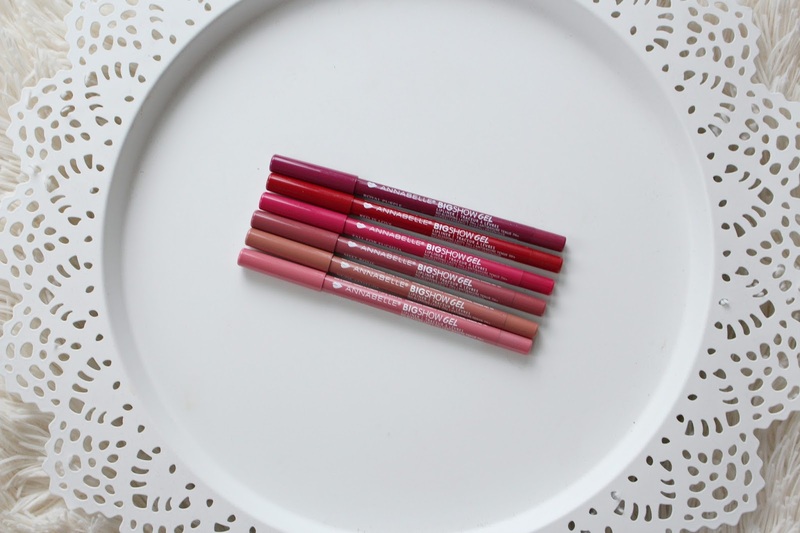 They are less creamy than the Colourpop Lippie Pencils. I think you could wear them as a lipstick but a balm would be required. That being said, I do not find them drying when worn with a lipstick. I really, really like these. Especially with that price and ease of walking into the drugstore and grabbing them. The only downfall is the shade range, I want more! If you are in the market for some new liners I think these make a great option. Drugstore or not they are well made and comfortable. Maybelline Volum' Express The Colossal Big Shot Mascara is the latest addition to Maybelline's ever expanding mascara offerings. 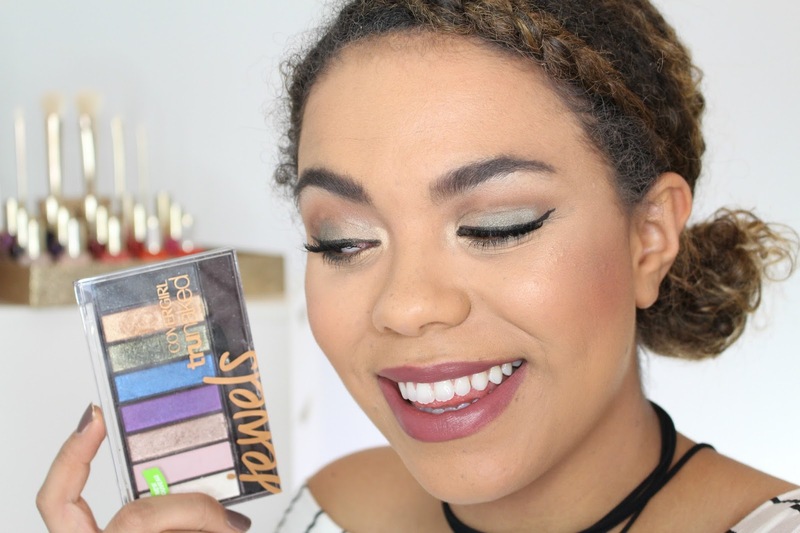 Maybelline Spring 2017 line up so far is full of a ton of new and exciting items. I feature them in a recent What's New at the Drugstore 2017 video on my YouTube Channel. This mascara comes in a bright yellow-gold tube which is enough to make me want to grab it off the shelf. It's available wherever Maybelline is sold, and you should see it popping up on displays throughout the month. Keep in mind new drugstore launches often end up on their own displays, up high, down low, off to the side - you may need to hunt it down a little. It retails for around $8.49 and comes in 3 shades, Very Black, Blackest Black and Brownish Black. It claims to give "root to tip volume" in one coat. The brush on the Maybelline Big Shot Mascara is somewhere in-bewtween a traditional bristle brush and a more plastic brush. It has the fluffiness and fullness but also the bristles themselves are thin and stiff. Just perfect in my opinion. It is ophthalmologist tested and claims to be safe for contact wearers. I've had no issues! Not to be too dramatic but THIS IS SUCH AN AMAZING MASCARA. Seriously it's great, I have had many subscribers reach out after picking it up and they are incredibly impressed as well. It gives me such a beautiful result, not clumpy but still very voluminous and length. 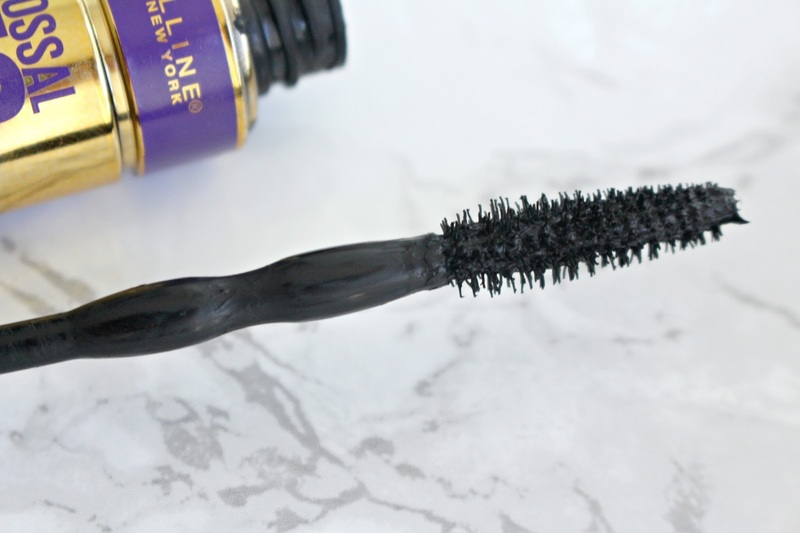 Generally, I like to use a volumizing and lengthening mascara but this does it all. I will always put on several coats of any mascara and it layers nicely, I also don't really ever have issues with flaking. This all being said, mascara is a very personal thing, but personally, I highly recommend you give it a try! *This product was sent to me for review. It officially feels like winter, no more surprise warm days, the snow has begun and any moisture in the air has left. That means it's time to load up on products that make my skin feel less lizard-like. If you know anything about me you may know my face is incredibly oily and I have quite a time keeping it matte. The rest of my body is another story, very dry. 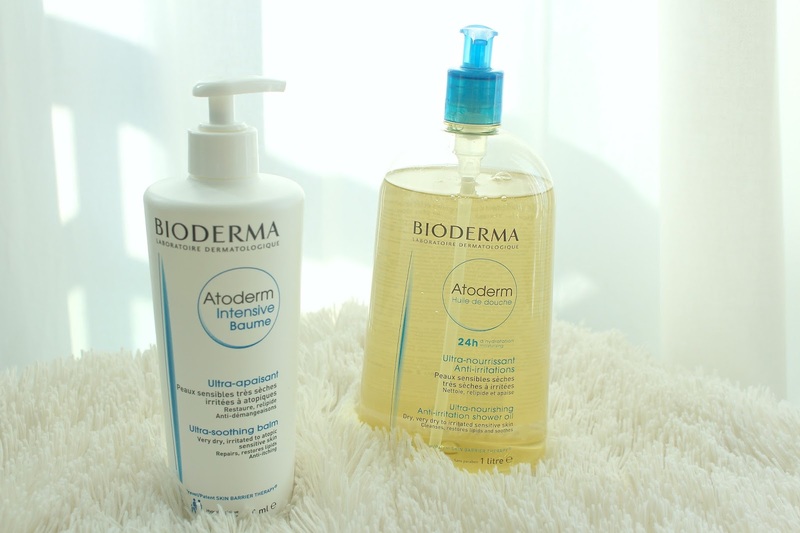 New to the Bioderma skincare line are the Atoderm Intensive Baume and Atoderm Huile de douche. Bioderma is readily available in Canada, on their website you can enter your postal code and it will show you where to find it. In the US, you can find some items on Beautylish. 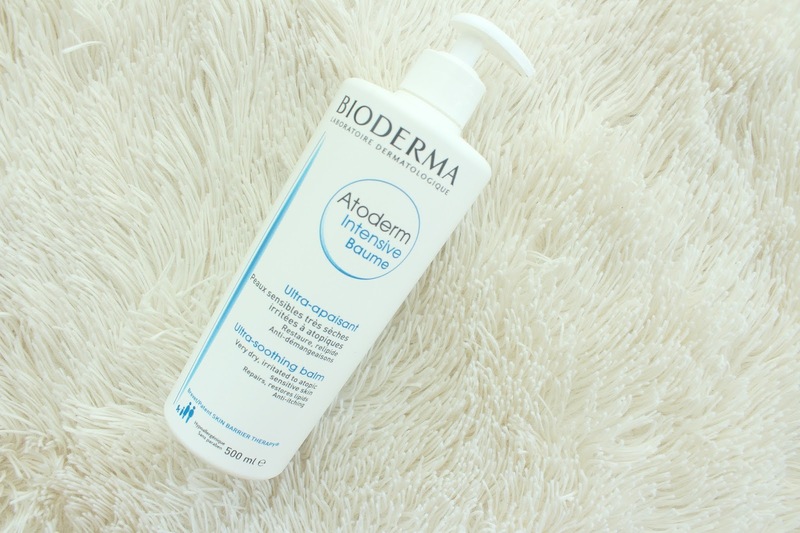 The Bioderma Atoderm Intensive Baume is an "ultra-soothing balm" created for very dry to atopic skin. I had to Google "atopic", basically it means a hypersensitivity on the skin in the form of a reaction. It retails for approximately and contains 500mL. This balm claims to sooth itching, irritation and biologically repair the skin's barrier. It's safe for the whole family and to use to use on both the face and body, and alongside any dermocorticoids. As to be expected with a product like this it's formulated without fragrances and parabens along with being hypoallergenic and non-comedogenic. 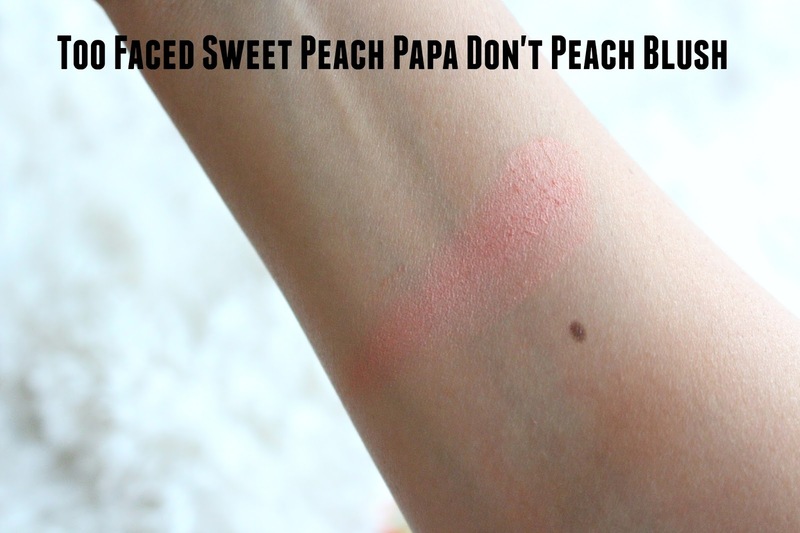 Personally, I have no experience with atopic skin, but as someone with dry skin I like this! It is something I reach for at night to apply to the driest parts my body, my knees and elbows. 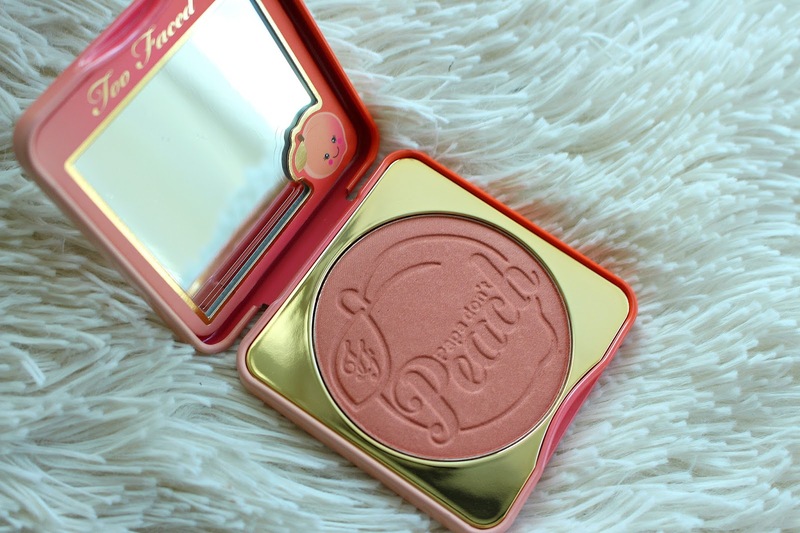 It has a great thick, balm/cream hybrid texture without being too sticky. This is definitely going to be a nightstand staple for Winter 2017. 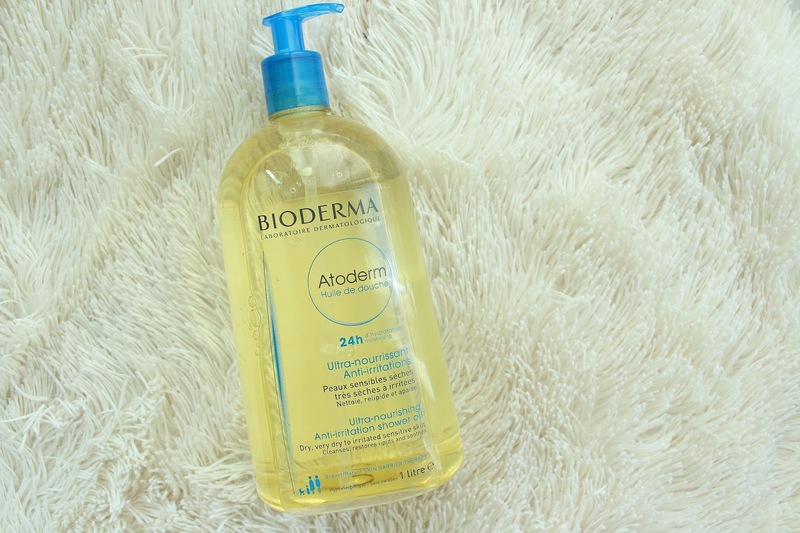 The Bioderma Atoderm Huile de Douche is an "anti-irration shower oil" created to sooth very dry to atopic or sensitive skin. It retails for and comes in a GIGANTIC 1L bottle, that has a pump. Similarly to the above balm, it's safe for the whole family to use on their face and body. It claims to give 24 hour hydration, be ultra-nourishing, reduce irritation, cleanse skin and restore lipids. I don't know how to fully explain how this stuff works on my own so I will quote the website, they do a much better job! "Vegetal biolipids soothe the feeling of tightness, increase the resistance of the skin by recreating the protective film of the skin." "The Skin Barrier therapy™ patent biologically prevents the binding of the bacteria (Staphylococcus aureus) responsible for aggravation of skin irritation." This is formulated without soaps, colouring, preservatives, and is hypoallergenic and non-comedogenic. It also claims to not sting the eyes, I have yet to test that out though - this is the kind of product I prefer on my body over face. Personally, I like to use this as a follow up after my regular shower gel. Once I've washed my body, I like to put the Bioderma Atoderm Shower Oil all over and then comb out my hair. This allows it to sit on my skin, and then I will lightly rinse, leaving a slight residue on my skin. Nothing that feels greasy or sticky. I've been enjoying adding this step into my shower routine, it not only helps to add moisture to my skin but it feels luxurious as well. My only issue with this product is the size. Perhaps if I was a family of 5, all with incredibly dry skin. It's just myself and my boyfriend (and my cat) in my 600 sq ft high rise apartment. I know my boyfriend will probably never take the time to use this so it just feels cumbersome. I wish it came in even a 500mL size. Not a bad thing I guess, but you get me. Overall, I'm very happy with these new additions to Bioderma's Atoderm line. If you have sensitive, irritated or skin reactions this could really give you some relief. For my dry skin it does great things too! *These products were provided for my review.